The initial top ten shootout runs saw Sebastian Vettel on provisional pole, with just under two-tenths on Valtteri Bottas, with Raikkonen third and Verstappen fourth, eight-tenths off pole. 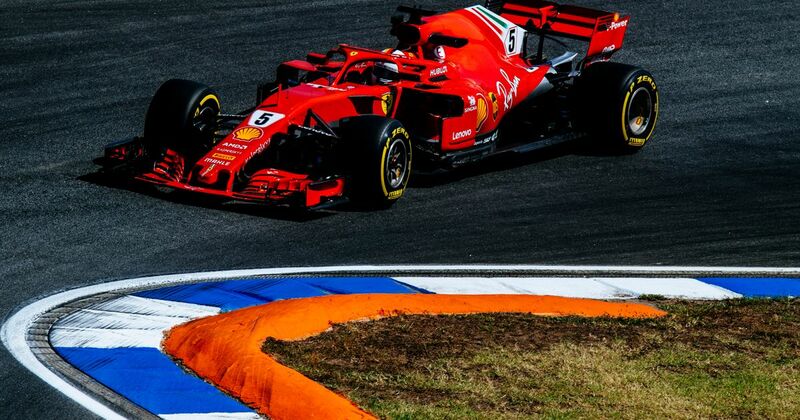 It set the precedent for a tense final lap of the session, with two prancing horses looking to get a 1-2 and see off the remaining Silver Arrow. The second runs saw Bottas find time and he looked to be on pole momentarily until Vettel smashed the track record. Further back in the top ten, Haas had another fantastic session and will start the race with Magnussen 5th and Grosjean 6th tomorrow. The team looking to reconcile their promising yet stalled start to the 2018 campaign. The Renault duo were next, with Hulkkenberg just edging out Carlos Sainz for 7th and 8th. Charles Leclerc was once again present in Q3 for Sauber. It’s becoming a regular thing yet remains incredibly impressive. He starts 9th ahead of a 10th place Sergio Perez. Q2 track time was ultimately cut short due to an early mistake from the charging Marcus Ericsson, who lost the Sauber at turn 12, possibly caught out by the slight tilt of the tarmac. The Swede displayed mastery in escaping the gravel trap and avoiding beaching it, but the resulting gravel was scattered across the corner in his escape, bringing out the red flag. When the session resumed with only six-minutes to go, there were only three active cars that would be eliminated given Ricciardo and Hamilton’s non-participation. Those eliminated were Fernando Alonso in 11th, Sergey Sirotkin in 12th and Marcus Ericsson 13th. The biggest story of Q1 was Lewis Hamilton’s attempts to bring his Mercedes back to the pits after his hydraulics failed following a bumpy ride on the outside kerb of turn one. The Brit tried his best to climb out the car and bring it back to the pits so he could possibly take part in Q2, but he was stopped by the marshals, who wheeled the car into a safe alcove. It means that Hamilton will start the race in 14th place due to Daniel Ricciardo’s 20-place grid penalty. 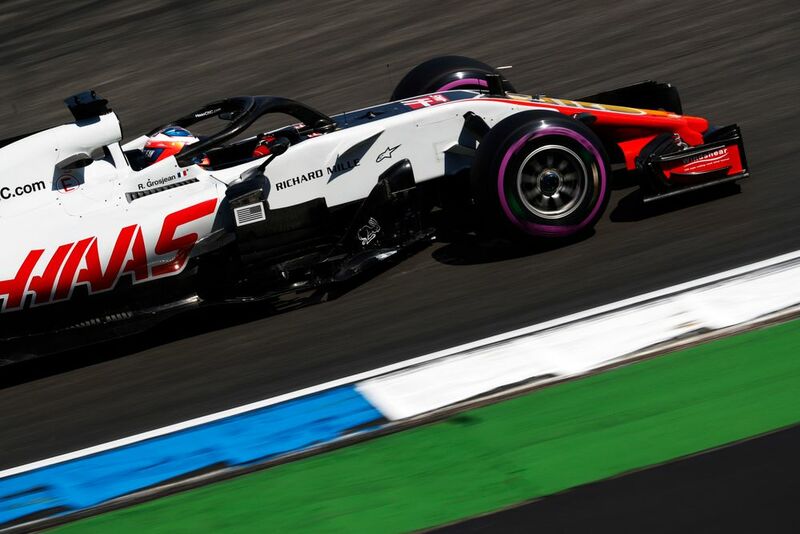 There was much hope before the qualifying session began that rain might threaten, but the drying track conditions actually proved to be ideal at the Hockenheim circuit, as drivers were forced to continually complete hot laps as the circuit gradually improved over Q1. Sergey Sirotkin in the Williams registering the 10th quickest time with two minutes to go indicated that none of the midfield were safe, and prompted some late improvements. 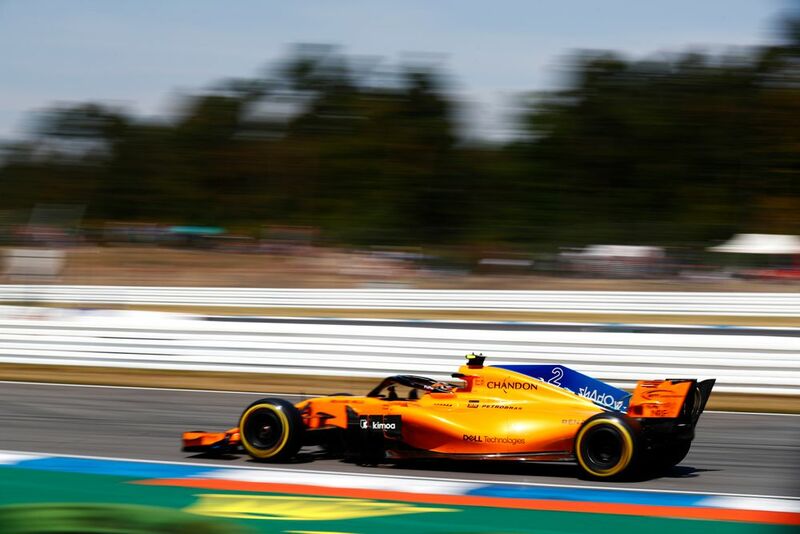 The drivers who ended up falling short were Estebn Ocon, Pierre Gasly, Brendan Hartley, Lance Stroll and Stoffel Vandoorne, who continued his unfortunate run of being the slowest car in ever session so far this weekend (discounting the seemingly optional FP3). The Q1 heroes were surely the Sauber drivers, who both managed to escape into Q2. It’s also worth praising Sergey Sirotkin for getting the troublesome Williams FW41 into Q2, his third of 2018. The grid promises some chargers through the grid with Hamilton and Ricciardo, who are both in for damage limitation weekends with the Ferrari looking so strong here. The midfield narrative between Haas and Renault hots up too, the American outfit will be eager to get a smooth lap one, and won’t want to give the yellow cars the opportunity to outscore them this weekend.